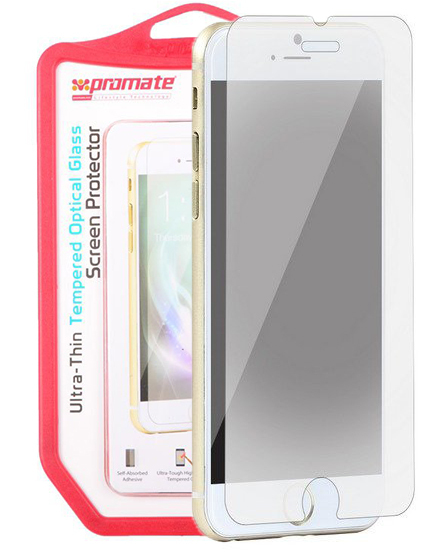 Primeshield iP6P is an ultra tough high density tempered glass screen protector for iPhone 6. iP6 is constructed using an innovative scratch resistant tempered glass material which is five times stronger than regular glass and can resist scratches even from knives and keys. 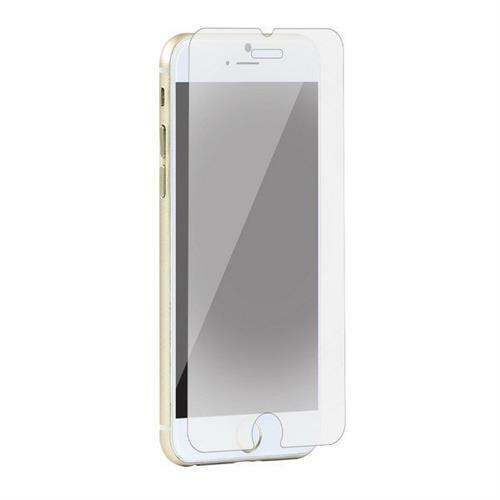 The rounded edges offer a more precise fit to your iPhone 6. The Self Absorbed adhesive side of primeShield i6P is coated with an anti-shatter silicon film that ensures projection to your device even if the glass shatters and also assists in easy installation of the screen protector. This screen protector id 0.33mm thick coupled with an oleophobic coating that provides premium projection from smudges and fingerprints with no loss in touch screen sensitivity. primeShiled. iP6P is made of an optical graded PET film that enhances colour and provides a sharper view. The optical graded PET film has a higher light transmittance than normal grade PET film and thus provides protection from eye fatigue due to extensive and continuous use of your iPhone6 Plus. iP6P is an obvious choice when it comes to optimum screen protection.